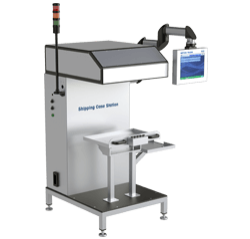 The T2620 is a compact, complete serialization system that integrates into existing production lines and ERP systems. 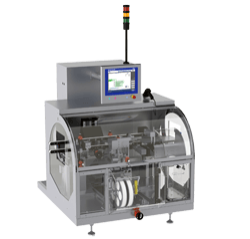 The system performs all necessary functions for serialization, including the marking, recording, and verification of all serialization data in alpha-numeric and datamatrix formats. Solutions for the marking, verification and recording of serialized information. Serialization systems in compliance with the EU Falsified Medicines Directive, the FDA's Drug Supply Chain Security Act, and other pharmaceutical security regulations worldwide. A portfolio consisting of stand-alone solutions or customizable OEM kits. Solutions for the marking, verification and Code verification of aggregated product packages from carton to crate. Aggregation solutions assist in compliance with the EU Falsified Medicines Directive (FMD), the FDA's Drug Supply Chain Security Act (DSCSA), and other pharmaceutical security regulations worldwide. PCE Line Manager and Site Manager Software ensure every part of the Track and Trace process is properly coordinated. Closed-loop solutions ensure full integration with IT systems. Predetermined serial numbers are fed to line devices and information about the packed product is sent back to the ERP system. 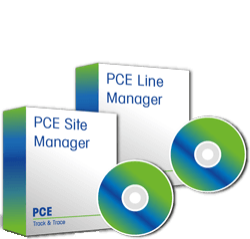 PCE Site Manager and Line Manager Software communicates with ERP, MES or Cloud Systems, allowing the exchange of key production and process data. What is Track & Trace? 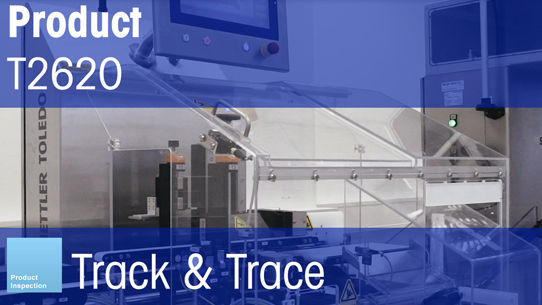 Track & Trace is the use of individual and aggregated serial numbers to establish a chain of custody for a product as it moves from the manufacturer to point of sale/distribution. This process allows anyone along the supply chain to verify the authenticity of the goods in question, as they are traceable back to their point of origin. How does Track & Trace work? Serial numbers are generated either from a central database or from a third-party vendor. These numbers are then assigned to individual products as they journey down a production line. The numbers are printed either directly on the package surface or on a product label that is then applied to the package. As the product moves through the supply chain, its movements are logged by scanning the unique identifier, establishing a complete chain of custody for the product from its creation to the point of sale. What is the difference between serialization and Track & Trace? Serialization refers to the generation and assignment of a unique identifying number to an individual product package. This number can then be checked against a database of numbers to verify accuracy. Track & Trace refers to the larger process – bundling together individual packages into a single aggregate code and recording the movement of the package as it makes its way through the supply chain. Are there international standards for Track & Trace? Currently standards for Track & Trace come from GS1, who among other things have set forth the formatting for international serial numbers and communication standards for RFID tags. METTLER TOLEDO has partnered with GS1 in helping to create further Track & Trace standards. Do you have systems that comply with all international Track & Trace regulations? All METTLER TOLEDO systems are in full compliance with international Track & Trace regulations. Which industries could benefit from a Track & Trace program? Any industry where the threat of counterfeiting or grey market sales is ideal for a Track & Trace solution. Adding a traceability to the supply chain makes it even easier to put together a chain of custody, which can be useful in the movement of raw materials. It is a requirement for the pharmaceutical industry, and sees widespread use in the electronics sector as well.